Today was recycling day. Sometimes my bin is just overflowing! If only there was a way to use those extra things that I can’t cram in…Oh wait, there is! 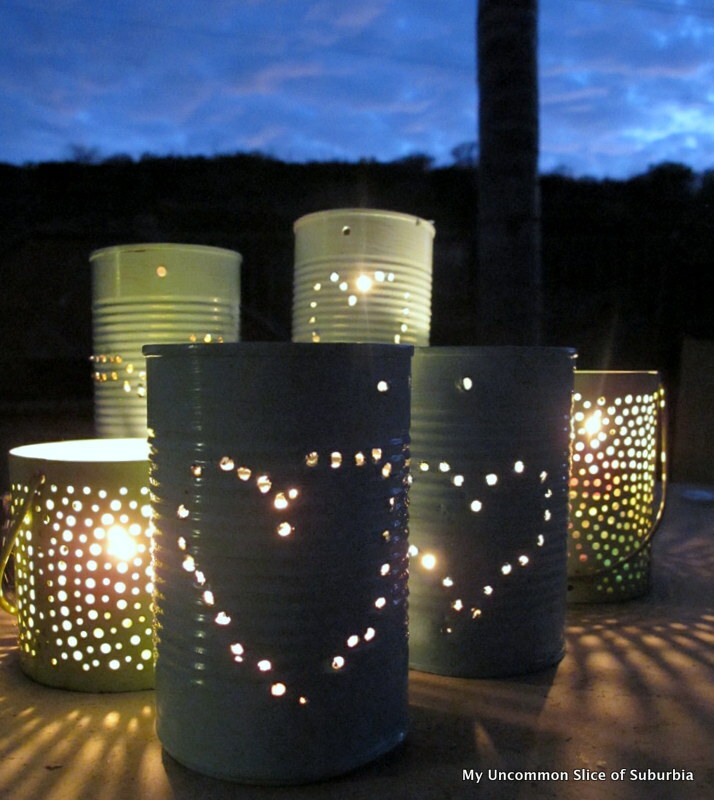 DIY Tin Can Lanterns are just the thing!